On May 4, jazz lovers all over the United States and abroad celebrate Dave Brubeck Day. This informal holiday is dedicated to a famous jazz composer, pianist and bandleader, considered to be one of the foremost exponents of cool jazz. 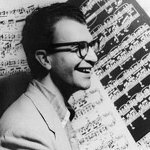 Dave Brubeck was born in 1920 to a cattle rancher and piano teacher. He took his first piano lessons from his mother, who had studied piano under the famous English pianist Myra Hess and intended to become a concert pianist, but had to teach piano for extra money. Brubeck originally studied veterinary science in college, intending to work with his father as a rancher. But then one of his professors encouraged Brubeck to change his major to music. Later, he was nearly expelled because of his inability to read music on sight due to poor eyesight. Several of his professors came forward, arguing that his talent compensated for it, and the college let Brubeck graduate on the condition that he would never teach piano. Following his graduation, Brubeck served in the U.S. Army, where he formed one of the first racially integrated bands in the U.S. Armed Forces. While serving in the military, Brubeck met the saxophonist and composer Paul Desmond. In 1951, they created the Dave Brubeck Quartet that quickly gained popularity. Three years later, Brubeck became the second jazz musician to be featured on the cover of Time, after Louis Armstrong. Interestingly, Dave Brubeck Day isn’t observed on his birth or death anniversary. The date of May 4 was chosen because it is written “5/4” in the format most commonly used in the United States. This is a reference to Brubeck’s best known recording, “Take Five”, noted for its unusual quintuple time.